Erika Matthies Praul, D.V.M., Veterinarian and owner. 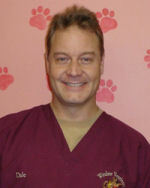 Dr. Matthies graduated from Cornell Veterinary School in 1997. 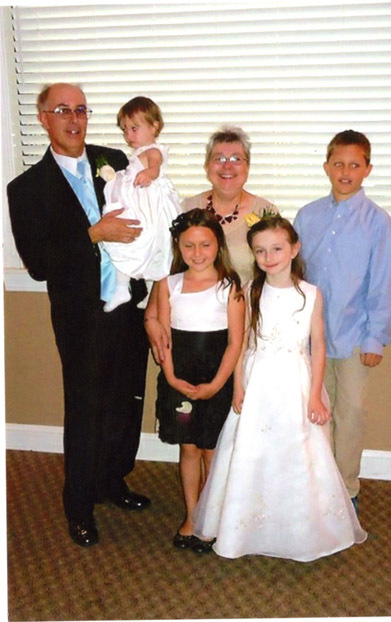 She moved to Maine and started working at the Windsor Veterinary Clinic in June, 1999. She and her husband purchased the clinic in September 2003. Together they also have 3 children, 3 cats, 2 small dogs, and a bearded dragon. When she isn't working or caring for her family, she enjoys outdoor activities and relaxing with friends. While at work, Dr. Matthies enjoys talking with and educating her clients and spending time with her patients. Her special interests include geriatrics, feline medicine, wound management, and providing tailored lifelong wellness plans for all new puppies and kittens. She provides house calls on an as needed basis, for those times when coming into the office is difficult or not possible. One of her strong beliefs is that all animals deserve to be treated humanely and with compassion and dignity at all times. 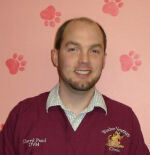 Dr. Praul graduated from Cornell Veterinary School in 1996 and is the co-owner of Windsor Veterinary Clinic, moving to Maine with his wife in 1999. He went to Penn State for his undergraduate study and participated in Semester at Sea, a study abroad experience where he got to travel around the world. He very much enjoys spending time and traveling with his wife and 3 children. Dr. Praul also feels strongly about businesses being an asset to their community, supporting various youth sporting and academic programs, churches, and food banks, among others. Professionally, his interests include soft tissue surgery, challenging medical cases, and exotic pets. I have been with the Windsor Veterinary Clinic since 1998. My love for animals has always been a part of my life for as long as I can remember. I attended the University of Maine at Orono and earned a degree in Animal Veterinary Science. I have a few animals of my own, 3 cats and 4 dogs. Betty started with the Windsor Veterinary Clinic in 1989 as a receptionist until 1999 when she became an animal care provider. She runs pre-op blood work, assists in animals' recovery from anesthesia, develops X-rays, helps with pet restraint, and is in charge of surgery packs. She is the friendly voice who calls pet owners to check on post-surgery animals. Betty has a black lab named Marge and horses at home. She travels to many county fairs each summer with her husband Bub and son Colt to watch them compete in draft horse pulling contests. Colt is an award-winning taxidermist and Betty enjoys helping him with Bear Rugs. Betty also enjoys quilting, knitting, scrap-booking. I always wanted work in the veterinary field and I am fortunate enough to do what I love. I graduated from the University of Maine, Bangor, with a degree in Animal Science in May of 2008. After graduation, in September of 2008, I joined the Windsor Veterinary Clinic team. I live with my fiancé Chris and our fur children; our dog Ella, our cats Sam and Moe, and twelve chickens. When I’m not at work I spend my time with my fur children and have many hobbies, but my passion (aside from animals) is jewelry making. I feel blessed to work with such wonderful people and am happy to be part of this team. 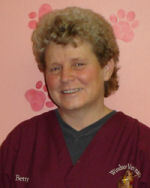 Peggy has been with the Windsor Veterinary Clinic since March 2005. When not working she enjoys snowmobiling, kayaking, and traveling with her family. She also loves spending time with her grandchildren. 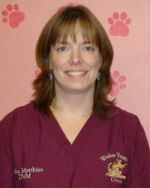 Erin joined the Windsor Veterinary Clinic team in 2008. She has a bachelor’s degree in Zoology from the University of Maine. Erin loves to be surrounded by animals and does her best to make all pets feel welcomed at the clinic. 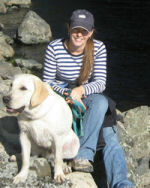 When she's not at work, Erin enjoys hiking and camping with her family, and her 2 yellow labs, Scout and Henry. She also owns and operates a dog training center in Whitefied, Bessey’s Positive Paws. 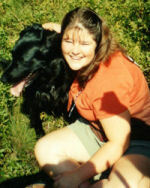 Amanda joined the Windsor Veterinary crew in the year 2007 after graduating from the University of Maine in Orono. She received a bachelor’s degree in Marine Biology and also holds an associate’s degree in Biotechnology from Kennebec Valley Community College. Amanda is the proud owner of one loveable feline, one adorable lab, and 3 crazy birds – one cockatiel and 2 zebra finches. She enjoys camping, kayaking, hiking, sketching/painting, gardening, and crocheting. 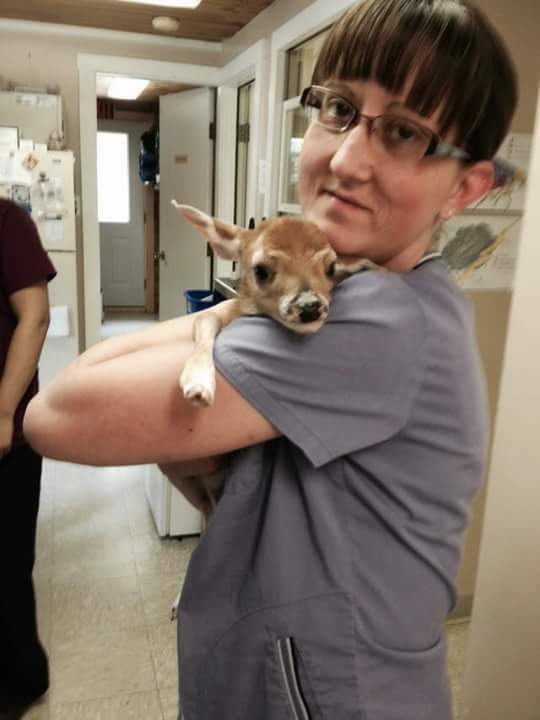 Heidi is a new addition to the WVC team as a Veterinary Technician. She grew up in Vassalboro, ME on her family horse farm, Hemphill’s Inc. She attended the University of Maine and has a Bachelor’s degree in Animal and Veterinary Science with a concentration in Pre-Veterinary medicine. Heidi enjoys riding horses, dancing, and going to New York to visit family. She lives with her boyfriend Kevin and their dogs Brix and Biggie. She also has a horse and two cats. 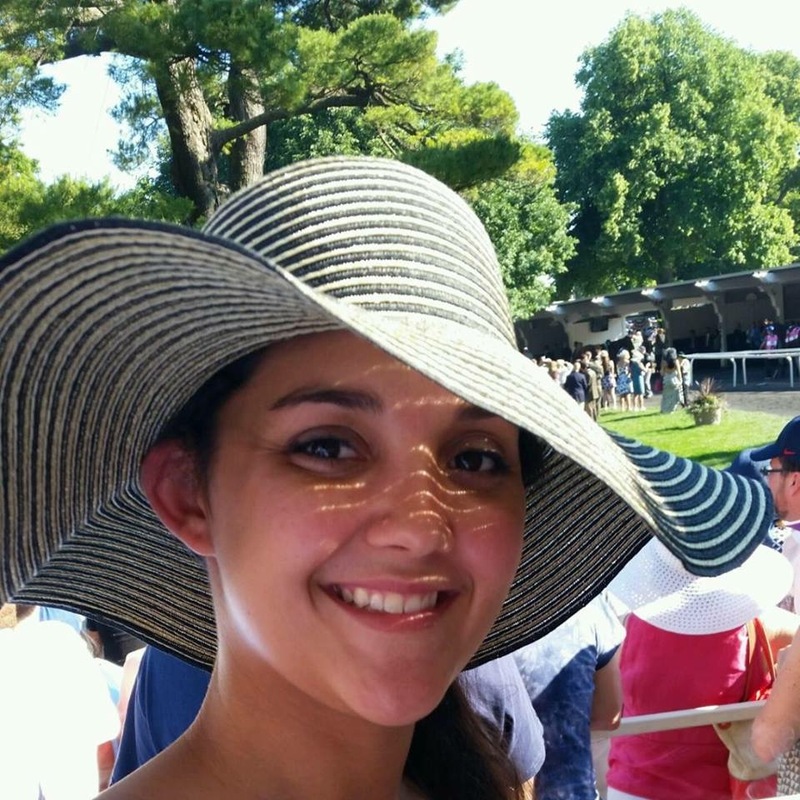 In 2012 she had the joy of going to Lexington, Kentucky and participating in the Kentucky Equine Management Internship where she got to work on a world class thoroughbred farm; Stonestreet Farm. Stonestreet is home to 2009 Horse of the year; Rachel Alexandra and Heidi had the pleasure of working with Rachel's first colt, Jess' Dream as well as many other foals that are now racing in the Thoroughbred circuit.